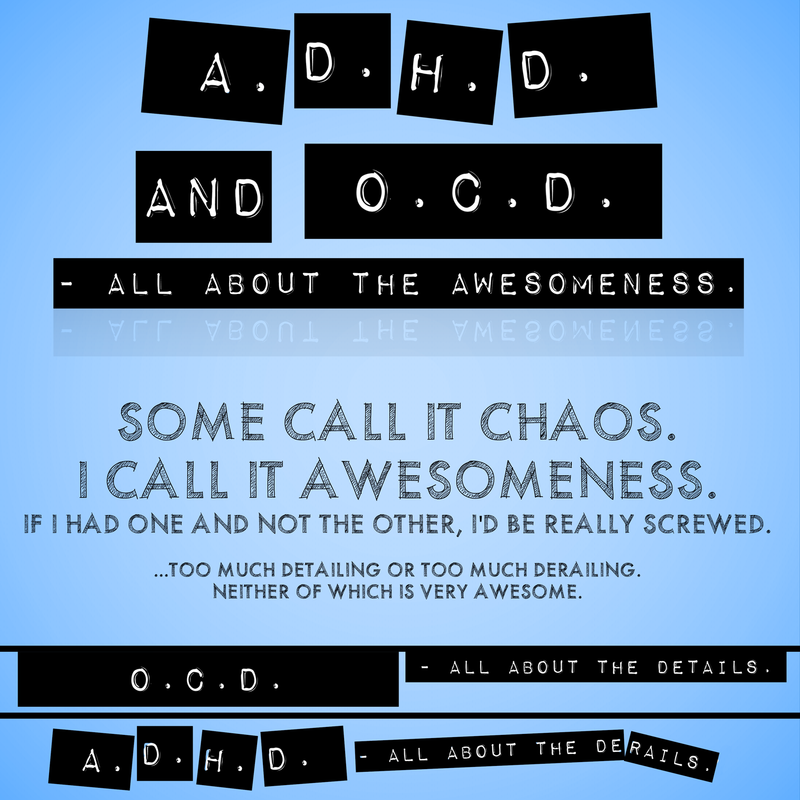 ADHD and OCD are complete opposites in a lot of ways. OCDers are all about the details and ADHDers are all about the derails. It may seem like these two thought patterns would work diligently (and with much force) against each other. And, sometimes that is the case. For example, when my OCD pushes me to get all dressed up for a presentation…and then my ADHD pushes my coffee cup in my lap. Or when my impulsive ADHD organizational purchase doesn’t fit exactly right or won’t hold the things it’s supposed to, so my OCD perfectionism declares the purchase worthless…but my OCD hoarding tendencies won’t let me throw it out…so the mess just gets bigger.